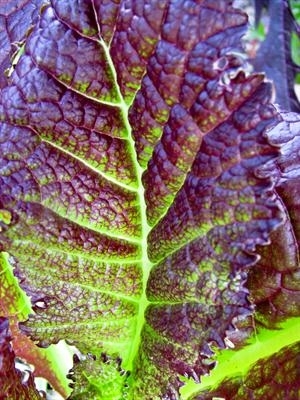 Jan Traylen: Japanese Mustard Greens: A Landscape of Images. A Leaf to be added to the salad course. A leaf covered in back light sun showing its colours of greens.